Every once in a while, there’s a visionary artist whose dreams and ambitions re-shape the way we view art, especially in the world of electronic media. It was David Sarnoff’s vision to invent a black box that would eliminate static, and thanks to his idea, we now have FM radio. Stanly Kubrick is another individual that added a newly stylized and artistic approach to directing movies. 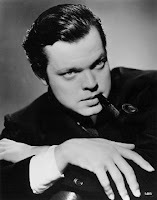 But one such individual that transcended the quality of both radio and film is Orson Welles. Even as a child, he showed a lot of talented potential but he never imagined himself becoming one of the most respected film makers of all time. He was just a man with a creative vision and as Orson Welles would say onto others, visions are worth fighting for. Born on May sixth, 1915, in Kenosha, Wisconsin, George Orson Welles was raised by a caring and sophisticated mother and father. They encouraged their son to explore interests or ideas outside of just his Wisconsin homeland. 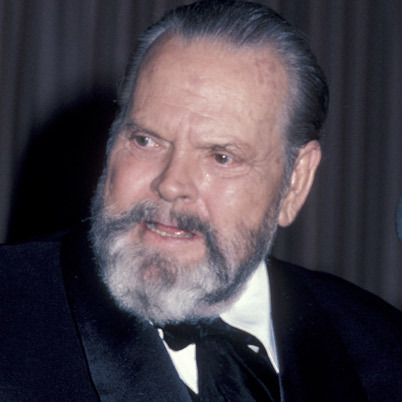 Unfortunately, child hood was not easy for Orson Welles, his parents divorced when he was very young and by the time he was thirteen, they both had tragically passed away. Fortunately, he was a boy who already showed creativity and artistic qualities. His current guardian was aware of his creative talents and enrolled him at Todd School in Woodstock, Illinois. It was here that Orson Welles began his first career as a stage actor. 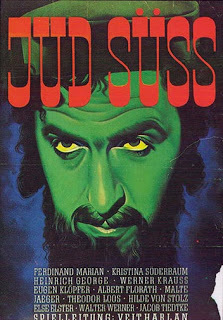 Welles had a passion for the theater and would go on to captivate audiences, including his on stage production of “Jew Suss” at the Gate Theatre in Dublin, Ireland. He would do further stage productions that wowed audiences. The one that seemed to change everything was his Broadway debut in the role of Tybalt in Shakespears “Romeo and Juliet”. As you’d expect, it was a big hit but more importantly, it got the attention of director John Houseman, who formed an important partnership with Welles in a Federal Theater project. The two men formed the Mercury Theater together, beginning with a production of “Julius Caesar”, which turned out to be a huge success. Several other successful theater productions followed including a version of Shakespears “Macbeth” which had a cast that was all black. Keep in mind that this was 1937, the idea of two white guys producing a play with an all-black cast was un-herd of at the time. After three years of successful, on stage productions, the Mercury theature moved into radio and produced a new weekly program titled “The Mercury Theatre on the Air”. This show aired on CBS and ran from 1938 to 1940, it re-aired again in 1946. 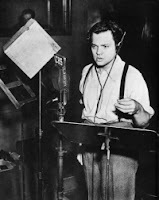 Orson Welles was now 23 years old and was about the make a huge name for himself with their first big radio production of “War of the Worlds” in 1938. It was the night before Halloween and it was broadcasted in the style of a real news bulletin, so everyone who tuned in thought that this alien invasion was really happening and it caused mass hysteria. People were barricading themselves in their bunkers, evacuating their homes and in New Jersey, citizens fired live rounds at a water tower, fearing it to be alien war machines. 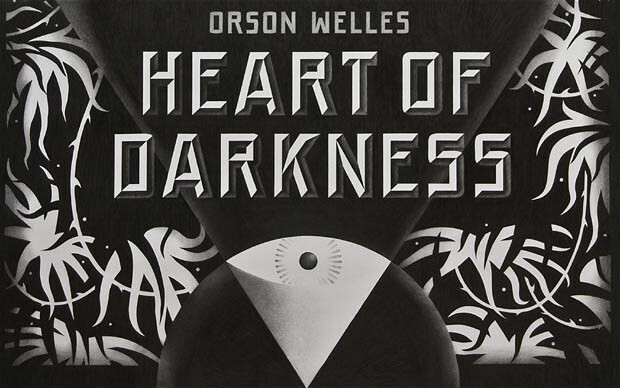 Welles provided a chilling narration from the perspective of a man witnessing the invasion unfolding before him. He also used very unique sound effects that sounded very startling and alien to common audiences. Radio was still a powerful new medium and at the time it was used primarily for delivering braking news stories. 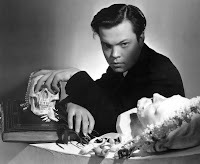 Shortly after the broadcast wrapped up, Orson Welles stated that it was all just a show and a way for us radio announcers to properly say “Happy Halloween”! At first people were furious with him for having been so deceiving, but after a while audiences paid more attention to the brilliance of this broadcast. 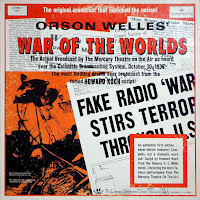 To this day, Orson Welles radio presentation of “War of the Worlds” is still regarded as one of the most famous and maybe even greatest radio broadcasts of all time. Never before had a single form of entertainment triggered such a huge, public reaction and it’s an event that will probably never occur again. This is when audiences discovered the thrill of escaping from the real world and submersing themselves into the technically brilliant world of radio and entertainment in general. On a side note, it made this famous alien invasion story a definitive classic all over again. Shortly after the radio broadcasting of “War of the Worlds”, a nice little mini miracle occurred that’s certainly worth mentioning. H. G. Wells, the author of the original “War of the Worlds” novel was driving through San Antonio, Texas and was a little lost. When he pulled over to ask for directions, he bumped into non-other than Orson Welles himself. The two titans that introduced the world to this classic story had unexpectedly discovered one another and they got along with each other very well. Despite sharing the same last name (although spelled differently), the two men are not related, in fact ones American while the other is European. After sharing a day together, the two men shared a live radio interview with each other, in which H. G. Wells stated that the biggest highlight of visiting America was meeting another Welles that continued the legacy of his classic story (this recording can be found on You Tube titled “Orson Welles meets H. G. Wells”). His radio career was a short three years but it was successful none the less. It’s a good thing he had a very deep and commanding voice to go along with all his other talents. His voice became one of the most well know and recognizable in the radio industry. George Lucas had even planed for Welles to supply the voice of Darth Vader in his “Star Wars” series but then thought his voice would be too recognizable and that it would distract from the character. Of course Welles broadcast of “War of the Worlds” cemented him as a genius but his media career (as well as his influence on media) was only just beginning. Soon Hollywood found his talents fascinating and then in 1940 he signed a contract with a small studio called RKO. 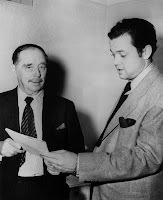 The deal was that Orson Welles would write, direct and produce two movies for the studio in exchange for $225’000, which was a lot of money back then. But the money didn’t matter to him because this was his big dream to show case his inventive techniques in film and he was only twenty four years old at this time. His first movie project was titled “Heart of Darkness” and was meant to be an adaption off of a novel of the same name by author Joseph Conrad. However, it was his next daring film project that would go on to become one of the most successful and influential movies ever made. 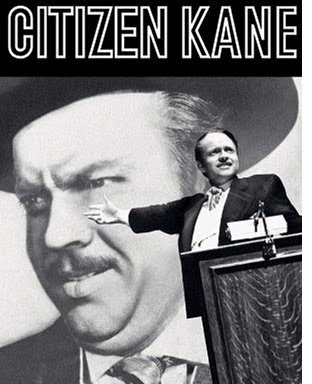 In 1941, Orson Welles directed, produced and starred in the motion picture classic titled “Citizen Kane”. This single film has developed a huge reputation for being labeled the greatest movie of all time and while that may be up for debate, there’s certainly no denying that it’s one of the biggest, landmark achievements in film. This is the movie that changed everything in terms of moviemaking and would be the influence for countless filmmakers to follow. In many respects, this film alone earned Orson Welles to be titled the father of modern filmmaking. It’s just an epic story about a publishing tycoons rise to power and his inevitable fall from grace. There was even a fake news real, which was another new trend. The film is loosely based on real life newspaper publisher, William Randolph Hearst, who was furious with this production and refused for it to be mentioned in any of his papers, which only helped bring down the films already small box-office numbers. Even though it wasn’t a hit upon its initial airing, it didn’t take long for the genius of “Citizen Kane” to be discovered and appreciated. 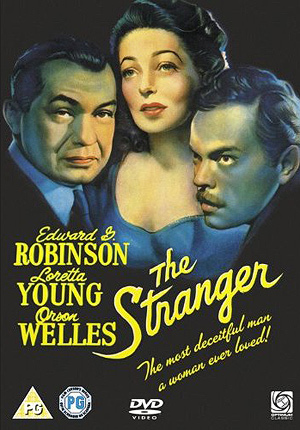 Welles developed a number of pioneer, filmmaking techniques for the film including a heavy use of shadows that compliment the mood that the film and its characters create. Right from the beginning, this film grabs your attention with its heavy atmosphere, gothic angles, unique sound effects and incandescent lighting. There’s a lot of deep-focus cinematography, which presented all objects in sharp detail, making things feel alienating. Another technical achievement that’s usually associated with this film is the low angle shot, this made the character of Charles Foster Kane to seem larger than life, abusive and powerful. Even by today’s standards, every single shot in this film is just incredible to look at. 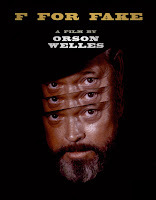 At last in 1974, Orson Welles wrote and directed one last film titled “F for Fake”. Unlike “Citizen Kane”, this movie was filmed as a documentary with a focus on the topic of trickery and establishing how some things are faked. 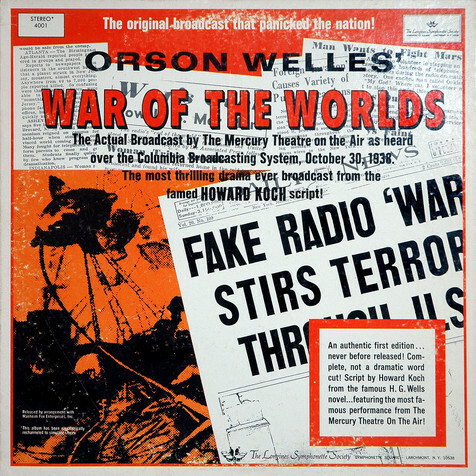 The basic idea that Orson Welles had going into this project was to argue that there is an extremely close relationship between art and lying, even citing instances from his own career to prove this point, most notably his own “War of the Worlds” broadcast. At times, this documentary would offer something interesting, especially when analyzing real people like Elmyr de Hory, who was extremely skillful with making forgeries of famous paintings which caused unrest amongst expert art collectors. 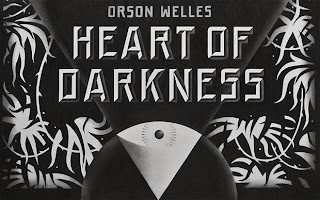 Other times this film would discuss how someone faked a biography on Howard Hughes and while all this was interesting, it didn’t quiet connect with the original message that Orson Welles was trying to convey. 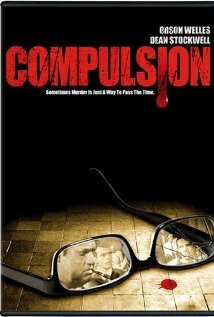 In the end, this film came off as less of a documentary and more of an editing experiment, in fact this movie has influenced filmmakers on how to cleverly and artistically edit a film, so it has its significance. 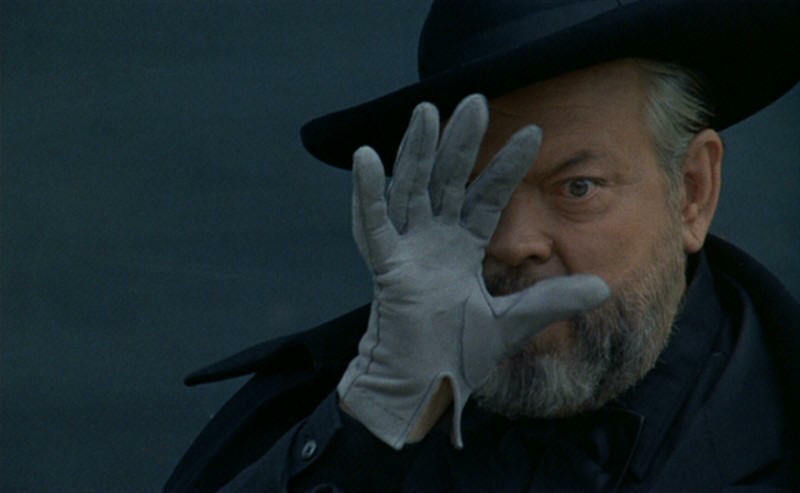 “F for Fake” turned out to be a modest success, however it’s far more valuable to students in film school as opposed to the general public and for that, Orson Welles regrettably didn’t end his filming career on the same high note that he started. While “F for Fake” was the last movie Orson Welles would write and direct, his movie career wasn’t over just yet, he would still continue to act in films like “Voyage of the Damned” and the Mel Brooks comedy “History of the World Part 1”. 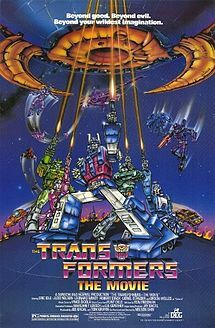 In 1986, there was an animated motion picture titled “Transformers: The Movie”, adapted from the hit TV show of the same name. In this film, Orson Welles supplied the voice of the movies lead villain named Unicron. 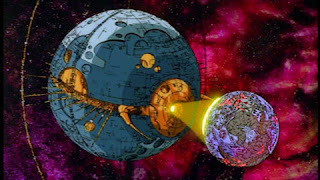 According to the film’s director, Welles accepted the role only for his admiration to animated movies. However, he had no interest in the actual series, he didn’t even bother to remember the name of his character and even stated that he spent the day doing voice work for a toy that destroys other toys. Never the less, he put his all into the voice acting and supplied this character with one of the most fascinating and sinister villain voices ever. At this time, his voice was getting very week and his health was really declining. The voice recording was completed a year before the movie’s release and tragically this would be the last thing he did before dying of a heart attack on October 10th 1985 at the age of 70. Five days earlier, he did one last interview on “The Merv Griffin Show”, making it his last public appearance and ending his great legacy. To this day Orson Welles is still one of the most famous and respected film makers, as well as actor and radio personality. 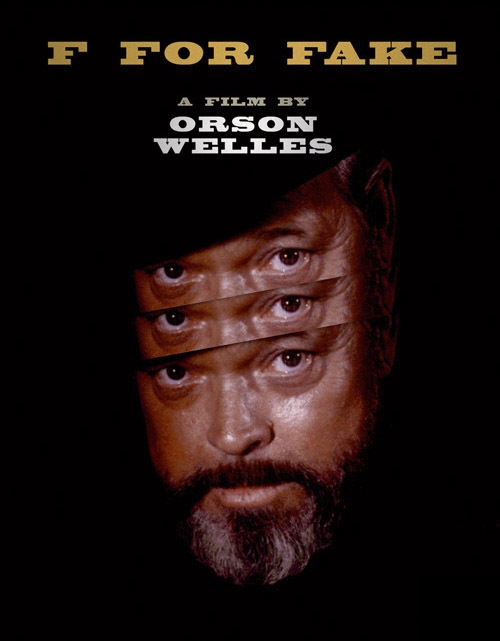 Orson Welles was more than just a creative visionist, he was an architect that re-defined art in electronic media, even giving birth to a new era of film. 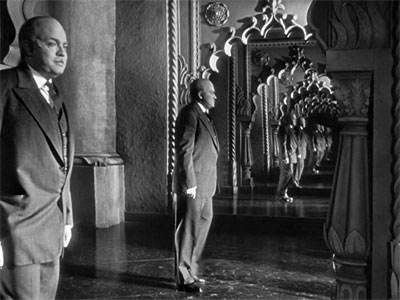 Over the years, many other filmmakers have drawn influence from his filming techniques, including Stanley Kubrick, Terry Gilliam and just about any other filmmaker has been inspired by Welles in some way. If more people followed his example of filming, then the world of electronic media can be taken to new, brilliant places that we can’t even imagine. If one were pursuing a career in the world of electronic media, then you can draw inspiration from Orson Welles and how he set a perfect example that visions are worth fighting for and that a little creative vision can go a long way. 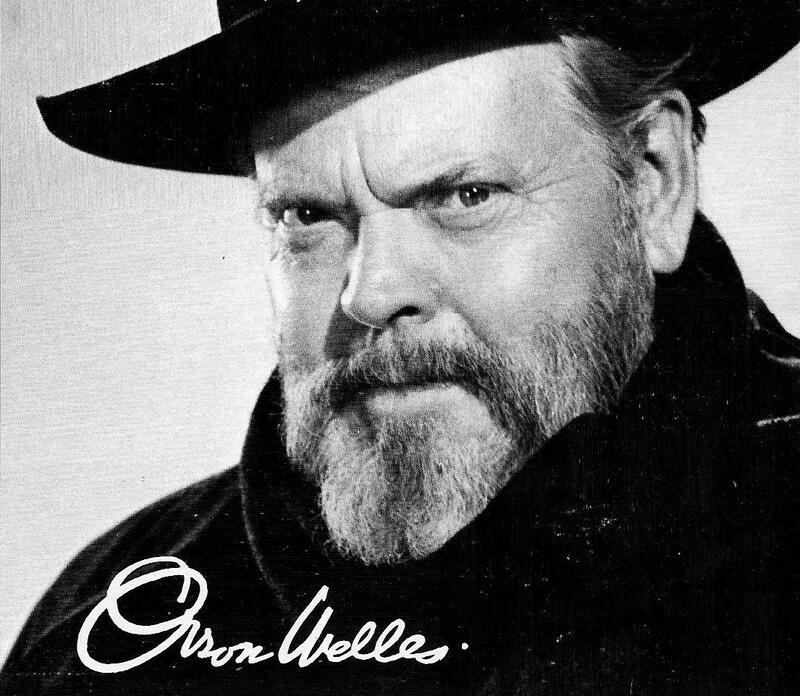 Orson Welles, Born May 6th 1959, Died October 10th 1985.